Love holds many surprises such as joy, sorrow, break-ups, get-together, loneliness, fulfilment, excitement, etc. Here is a cute image to express your loneliness to your love. 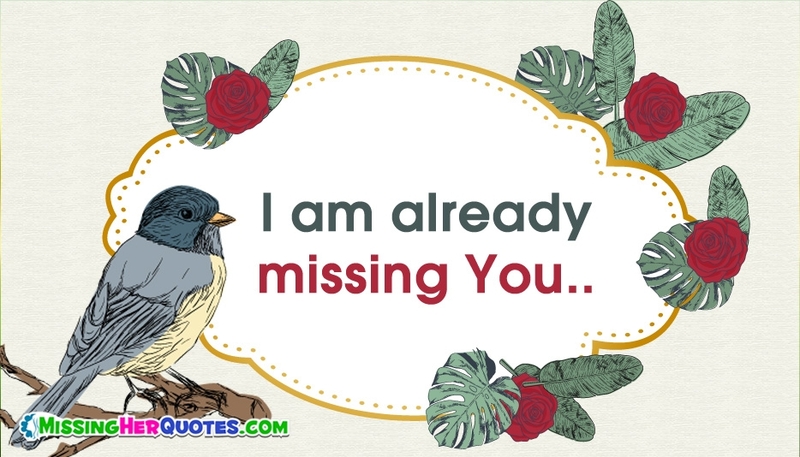 The image holds the picture of lonely love bird, a sparrow, and the love words "I am already missing You". Share this card with your love and express your loneliness.